Goverlan can detect the logged-in workstations of your users in real-time. A great feature for remote it support. It finds your end user’s machines quickly, without prompting the remote user for the information. I have installed the above requisites, now what? Once the Goverlan Reach Server is advertised, the client agent will begin to build the information necessary for the detection of logged-in workstations. You should be able to detect the logged-in workstations of your users as soon as the agents are on the user’s machines. Confirm that the Goverlan Reach Server is active and properly advertised to user’s machines and the Goverlan Reach operators’ machines. Confirm that the Goverlan Agents have been installed on the user’s machine after exposing the Goverlan Reach Server. If the agents were installed before the Goverlan Reach Server, you must wait for them to detect it, or restart the Goverlan Client Agent service for immediate detection. What if I cannot install a Goverlan Reach Server? The Goverlan operators have read-access to the users’ roaming profile directory. If your users are configured with a roaming profile which points to a DFS share, you must turn on Enable DFS shares detection in the Administration & Diagnostics section of the Goverlan Settings. 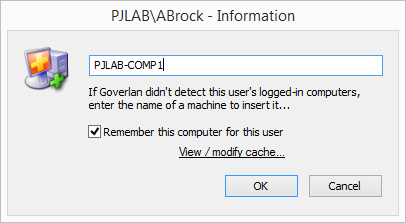 You can query the logged-in devices of your Active Directory users in the Administration & Diagnostic feature of the Goverlan Reach Operator console. To do so, select the Users tab and open the desired Active Directory container. 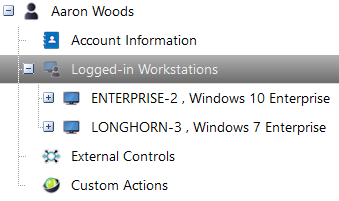 Select or search for the desired user account then double-click on the Logged-in Workstations icon. Once the logged-in workstations are displayed, you can also expand on any one of them and select the type of information needed. A set of features are also available through the context sensitive menu. If the automatic detection of logged-in computers cannot be used, you can manually assign a computer to a user account. 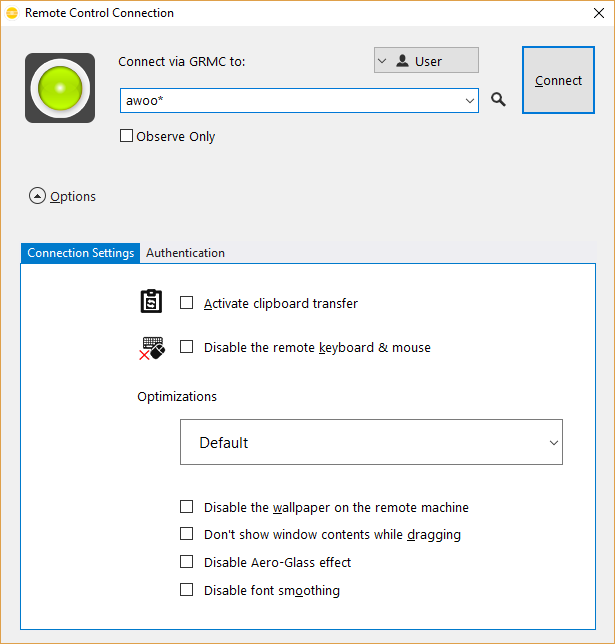 To do so, select the Logged-in Workstations icon of a user, right click on the mouse and select Manually insert a computer to user… This feature can also be activated by pressing the [Insert] key from the keyboard. The Machine Cache is stored in XML format in a file called GovUMACcache.dat located in the C:\Users\USERNAME\AppData\Roaming\Goverlan Inc directory of your profile. 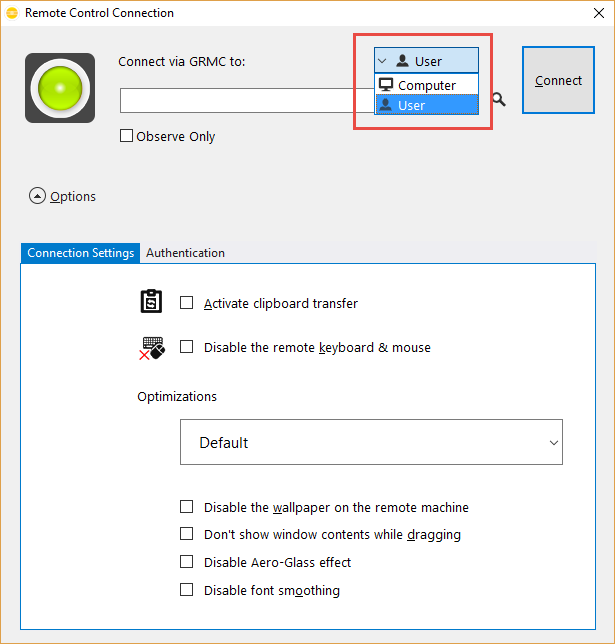 You can also use the fastConnect feature to quickly discover the machines of a user and initiate a remote control session. 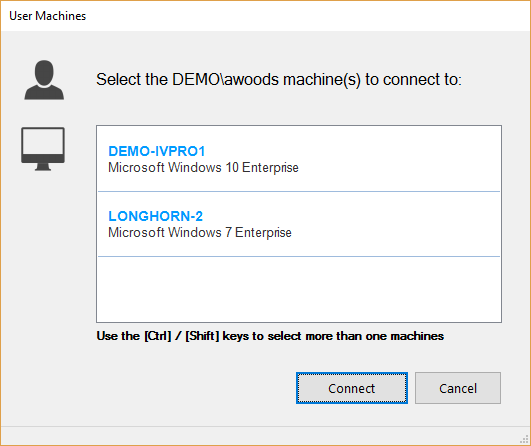 Select the machines to access and click on Connect.